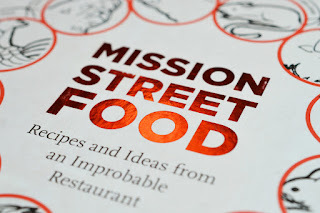 Mission Street Food Blog: MSF Returns on 10/24/16: Can It Be That It Was All So Simple Then? MSF Returns on 10/24/16: Can It Be That It Was All So Simple Then? Eight years ago we tried something a little different. This was before Instagram and before Barack Obama was elected President. Actually, it was during an election season, and maybe that’s what’s gotten us a little nostalgic. In October 2008, we sublet a Guatemalan snack truck to serve something called a "PB & J"(Crispy [P]ork [B]elly & marinated [J]icama on a buttery scallion pancake-ish flatbread). There was a moment where I was standing on the corner with a cooler of mise en place, anxiously waiting for Senor Gomez to bring his little food truck and that was really the end of the innocence. I saw another dude standing not too far away also waiting for something. He was my first customer and a line was forming. Karen ran from BART to join the fray that was the first night of Mission Street Food. She alternated between chatting with customers and running back to our apartment to bake cookies to sell to the line. We went home, started this blog, and crashed. We did it again the next week and again the next. We moved into a run-down Chinese restaurant and did it again, while inviting guest cooks to join us. We liked to think that we were starting an indie chef movement. We ran 2 pop-ups each week and by the end, pulled off 140 unique menus. Karen called it the equivalent of planning a wedding twice a week. After a couple of years, we started Mission Chinese Food and Commonwealth with our friends. We made some money for local charities. Karen co-wrote two books, I worked on various projects, and we had a baby. Then we had the anxieties that come with parenthood. We worried about the food we were feeding our daughter and the kind of world we'd be leaving behind for her. We started learning about food politics, sustainability and regenerative farming. We started The Perennial. We became totally obsessed with how food can reverse climate change. It's our new hobby. A lot has happened in the last eight years, but we still enjoy a good pop up. 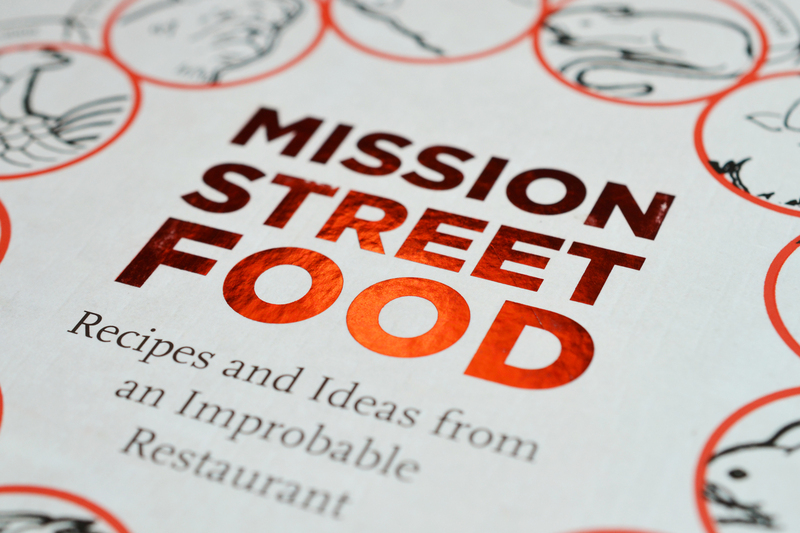 So on Monday, October 24th 2016 we're going all the way back to those fun-loving, halcyon days with Mission Street Food at The Perennial (a stone’s throw from Mission St. on 9th Street, so a kind of MSF). We'll have dishes you can't get anywhere else from Chris Ying, Caitlin Koether, Jordan Grosser, Ted Fleury and yours truly including some MSF classics (like PB&J) and a bunch of newbies too. Music by David Cabello and karaoke in the bar. A few more of our old compatriots have promised to help, too. Come along and feel some feelings with us. The more things change, the more they stay the same, right?